The 11th day of October has been marked as the International Girl Child Day that aims to highlight the challenges they face during the peak of their empowering days. The day shows the importance of girls who are neither working, nor studying, they are taking important decisions, or choosing the road to their future. Pakistan has not recognized The International Day of Girls as a prominent event, yet considering the importance of this time in life for women, there could be immense appreciation and participation around the world. Girls have started taking up challenges, more girls have started studying, choosing careers that were once considered only meant for men. Women as engineers, doctors, filmmakers, pilots, and army officials were the most unimaginable careers for women, however, now are very common. A woman is not equal to a man, in fact, she cannot be compared to a man, because of her drive, her ability and her constant hard work to prove the misconceptions about her, wrong. Although Girl Child Day is not officially celebrated, in some countries, it is our duty to help women and young girls in pushing through and making something out of themselves. 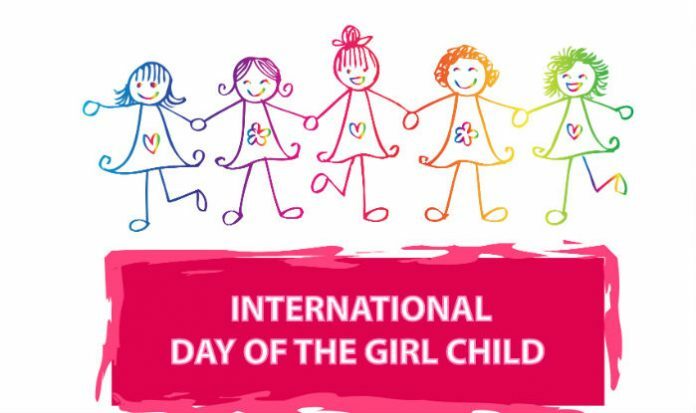 Happy Girl Child Day in advance!